It doesn’t matter whether you want to join an existing club, form your own or enlist family members – the first step in taking part in the A&Y Book Club is to gather fellow readers! Once you’ve got your group together, decide which of this quarter’s titles (below) you want to focus on. You can pick one or read them all – the choice is yours. When you have all finished reading, it’s time to start talking! Decide on a venue, get some drinks and nibbles in and turn up armed with your copy of the book and any questions or comments. Use the list of key themes to get you started, but try to let the discussion be led by your opinions. Whatever your group’s conclusions, we want to hear them! Contact us via Twitter (@Armyand You), Facebook (Armyand You) or email (books@armyandyou.co.uk) and tell us what you thought. We will publish a selection of your comments online and in the next issue. 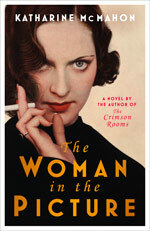 SYNOPSIS: It’s very rare for women to become solicitors in the 1920s and Evelyn Gifford is one of only a handful. A clever, talented and intelligent woman, she takes on intriguing cases in the face of relentless sexism. KEY THEMES: Independent women with more opportunities than women pre-First World War; morality and defending those without a voice; sexism in the workplace; love – balancing ambition with expectation. WHY THIS: According to the author, Evelyn’s “understanding of every issue provides rich territory and embroils the reader in a tumultuous interweaving of the various strands of her life”. 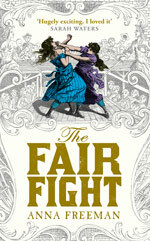 SYNOPSIS: From brothels to banquet rooms, The Fair Fight is a raucous and intoxicating tale of courage, revenge and female boxing set in Bristol in 1799. This is historical fiction at its very best. KEY THEMES: Women trapped by circumstance and society’s rules who strive to find independence; ownership; wealth – men with money vs the men and women beholden to them. WHY THIS: This story takes the reader straight to the sounds and smells of the Bristol streets. As the author puts it “women were out there beating each other up on stage whilst Jane Austen was sipping tea”. SYNOPSIS: Set in Northern Ireland, this acclaimed debut novel by Michele Forbes tells the story of Katharine, who is caught between the steady, reliable love of George and the passion of Tom. KEY THEMES: The power of loss and absence; motherhood and maternal love; the Belfast Troubles. 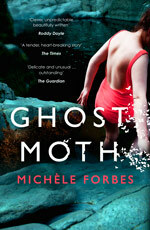 WHY THIS: Ghost Moth has been hailed by Sebastian Barry as “a stellar debut” and “triumphant story”, and described by Roddy Doyle as “clever, unpredictable, beautifully-written and crafted”. Readers of Army&You can order copies of The Woman in the Picture for the special price of £10.99 (rrp £12.99) by calling 01903 828503 and quoting ref no: PB107; The Fair Fight for £10.99 (rrp £12.99) by quoting ref no: PB106; and Ghost Moth for £6.99 (rrp £7.99) by quoting ref no: PB108. UK postage and packing is free, for overseas add £1.60.